Is it possible to high five something with no hands and radial symmetry? Well, you can try anyway. 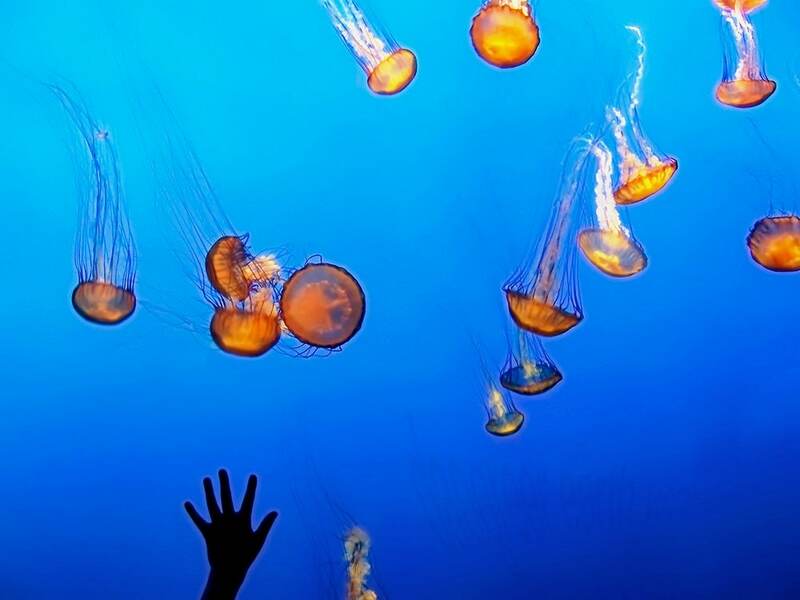 At the Monterey Bay Aquarium, a child stretches up the glass in an effort to reach a Chrysaora fuscescens, or Pacific Sea Nettle, swimming serenely above.